This news item will contain the information that we would like to pass on to our parents and carers regarding the forthcoming SEND Inspection. For the moment, we are just adding links to the relevant documents and the webinar. Letters have gone out today (Mon 4th December) to all parents and carers of children with an Education, Health and Care Plan. 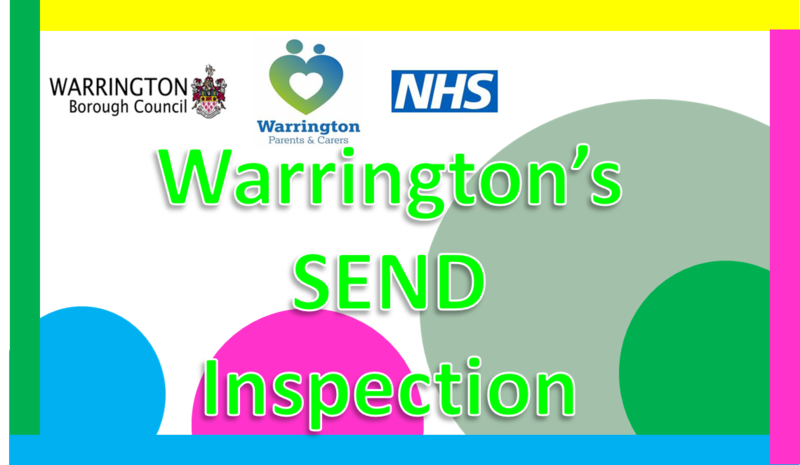 1.The inspection will include an online recorded webinar to allow Warrington Borough Council parents and carers of children with special educational needs and/or disabilities to contribute. The webinar will take place from noon on Monday 03 December 2018 until midnight on Tuesday 11 December 2018.